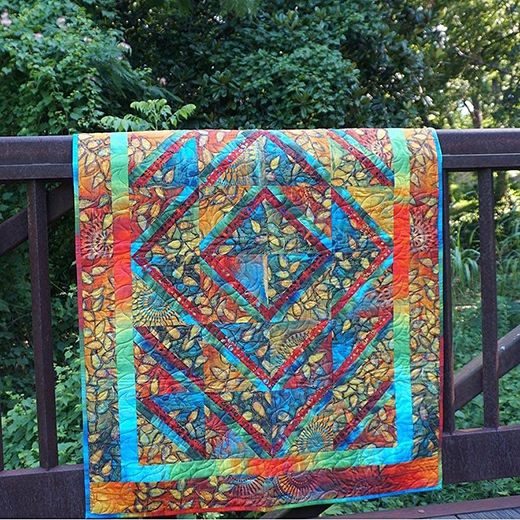 This bright quilt is made using only one block and four fabrics from Sue Penn’s Garden Bright line. The hand painted beauty of the fabric is the focus that makes this quilt stunning while also easy to put together. This Sunshine in the Garden Quilt Designed by Sue Penn, Tech edited by Kathryn Patterson for FreeSpirit, Featuring Garden Bright by Sue Penn Designs, The pattern is available for Free.